Innes National Park, has spectacular coastal landscapes, an array of diverse wildlife plus a wide range of recreational activities, and is located at the tip of Yorke Peninsula. 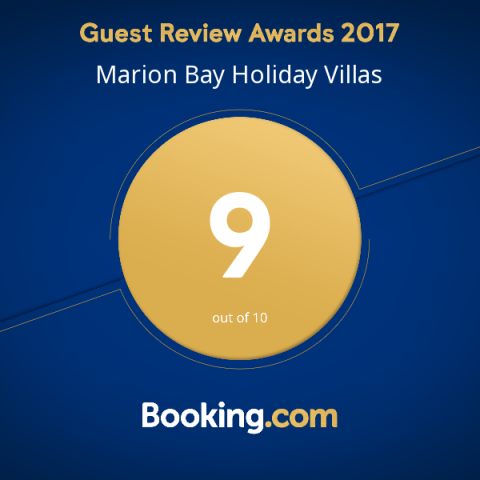 Many people looking for accommodation in nearby Marion Bay choose to stay at Marion Bay Holiday Villas which is conveniently situated just five minutes drive from the parks entrance. At Innes National Park you can enjoy the crystal clear waters, marvel at the rugged limestone coastlines, sculpted by the Southern Ocean and explore remnants of South Australia’s mining and maritime history. There are salt lakes further inland, among the mallee woodlands. Innes National Park comprises 9,232 ha of coastal vegetation, representing one of a very few remaining pockets of significant vegetation on the Yorke Peninsula. With a diversity of habitats, heritage and coastal scenery, Innes National Park provides a wide variety of recreational opportunities such as fishing, camping, bush-walking, bird watching, photography, and for the more adventurous there is of course some of the best surfing South Australia has to offer. 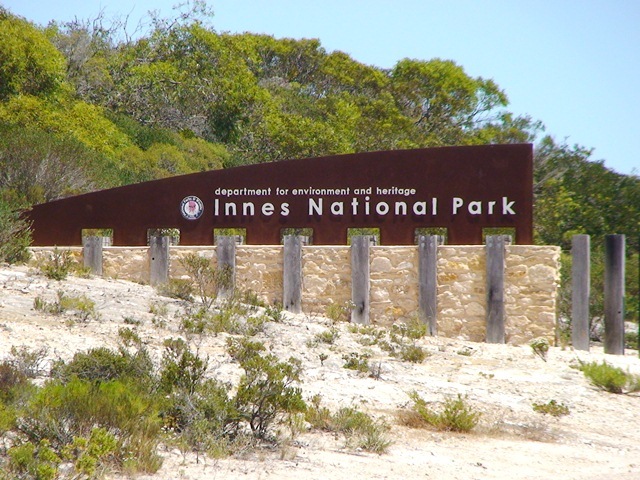 Innes National Park is open to the public 7 days a week and park permits can be acquired at the parks office. Innes National Park has many walking trails that cater to people with different interests and level of fitness. Providing some of the best coastal views in South Australia, we recommend taking the ‘Stenhouse Bay Lookout Walk’, but for those after a shorter walk, enjoy seeing the Cape Spencer Lighthouse, and stand at the tip of Yorke Peninsula South Australia and see Kangaroo Island. See many varieties of orchids in September. Climb over sand dunes, enjoy rich bird life, and see the stunning beaches. A cliff top route to the lighthouse incorporating the 360º viewing platform with views of West Cape, Pondalowie Bay and Marion Bay township. Make sure you take your camera! A popular whale watching spot in the winter months to see the Southern Right Wales, with great views of Althorpe plus Kangaroo Island. A well-marked trail with many information posts taking you through the Inneston historic mining village. Another trail with plenty of information stops that runs between Stenhouse Bay and Inneston following the path of the old wooden rail line. This is our favorite trail, as it has spectacular views from various lookouts and displays information about the natural and cultural history of the area. During the winter months the cliff tops at Stenhouse Bay and Cape Spencer provide the ideal location to see Southern Right Whales. Over 140 species of birds, many of conservation significance, can be found within Innes National Park, so keep a look out for the rare Osprey and Mallee fowl. Around 333 native plants have been recorded in the park, 115 of which are of conservation significance, making up a diverse range of vegetation associations and wildlife habitats. Innes National Park turns into a brilliant display of colour during the winter and spring when the wildflowers and shrubs come into bloom. Within Innes National Park there is a beach for everyone, but take care when surfing or fishing as there are many potential risks including submerged objects, unstable cliffs, strong currents, slippery rocks and changing conditions. Over 40 shipwrecks lay off the coast of Innes National Park and Yorke Peninsula South Australia. A maritime trail along the coast of the park tells the story of where and how the ships sank, the most famous wreck within Innes National Park is The Ethel, which came aground in 1904 when it was driven ashore during a large storm off the coast. Visit the remains of the ship on Ethel Beach. There are three lighthouses within Innes National Park at Cape Spencer, West Cape and Peter Island, with the Cape Spencer and West Cape lighthouses accessible via easy going walking trails. The park is one of only a few places in the world where living Stromatolites are known to exist. Stromatolites consist of layers of blue-green algae (or cyan o-bacteria). New layers develop on top, closest to the light, trapping whatever silt may be present. Old layers underneath are impregnated with calcium carbonate and become fossilized. In Innes National Park you can see the dome-shaped structures occurring around the edges of the salt lakes. Carbon dating has indicated that some of the stromatolites are about 3,000 years old.